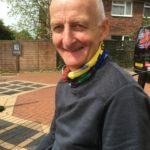 Andy arrived at Christ Church in 2017 with his wife Claire and their two daughters. Before he began full time ministry in the church he was a secondary school Physics teacher in the UK and Uganda. Andy loves time with his family, whether it’s a family walk, attempting to sing along to the latest Disney soundtrack, or playing on the beach. You could easily spark a conversation with Andy with an exploration of the big questions of philosophy, Physics and faith. But, if you prefer movies, books or watching the football over a pint, you’ll find Andy equally satisfied. Katrina arrived as Associate Minister (with lead for children, youth and families) in early 2019, with her husband Andy and two children. 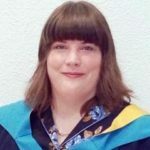 Katrina has always worked with children, young people and families in churches, schools and the wider community in a variety of roles, most recently in a full time ministry capacity. Katrina loves to read and always has at least one book on the go; whether that is for her theological studies, a book she is reading with her children or a crime novel for pleasure! 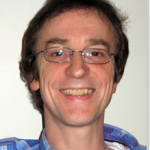 Liam joined Christ Church in 2011 as Associate Priest, having previously been Team Vicar in Clifton. 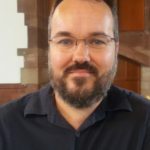 He is also Diocesan Partnerships Officer, working to form links between churches and statutory organisations, the voluntary sector and other faith groups, identifying and developing partnerships so that together we can best serve and meet the needs of people in local communities in different parts of Nottingham. Mike is the Curate at Christ Church Chilwell and St Barnabas Inham Nook. He joined the church in July 2018 with his wife Rachel and two daughters. 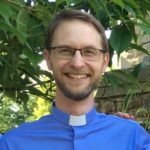 Mike spent nine years in the Royal Air Force as a Logistics Officer before training for ordained ministry at Ridley Hall in Cambridge. Aside from using up the post-it notes in the church office, Mike enjoys cooking and spending time in the gym. 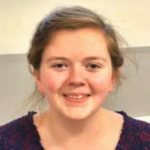 Emily is an intern with the Diocese’s Younger Leadership College and joined Christ Church as the Ministry Intern in September 2018. 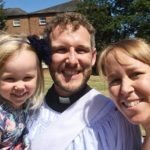 She is using her time in Chilwell to explore a possible call to ordained ministry, working on a wide range of projects to get a feel for parish ministry. In her spare time she is a drummer, a Scout Leader and a representative of the Church of England Youth Council on General Synod. The wardens can be contacted via the Church Office.